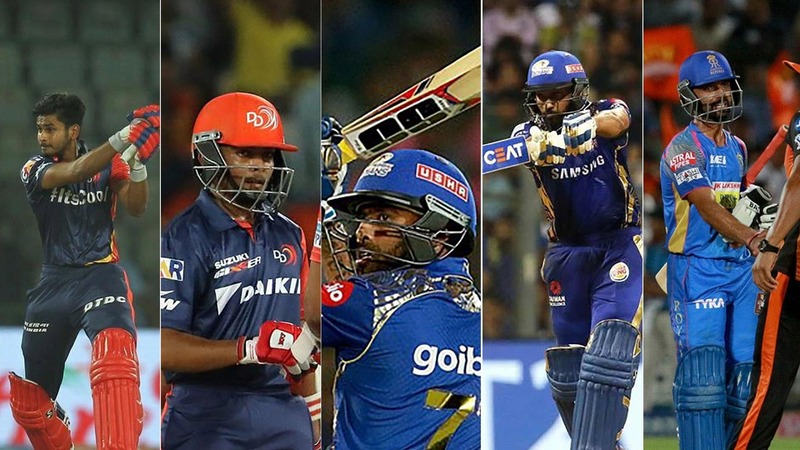 These Mumbai players did their teams proud in the IPL. Right after their stints in T20 Mumbai, some of the players went on to showcase their skills in the Indian Premier League. Here’s how they fared. Shreyas Iyer was appointed captain of the Delhi Daredevils after the campaign started and the stalwart showcased that he was in familiar territory, especially considering his successful stint as the skipper of NaMo Bandra Blasters in T20 Mumbai. Iyer was the leading run scorer in T20 Mumbai and he replicated his performance in the IPL for Delhi as well. Recording four 50s on his way to 411 runs in 14 matches, he averaged 37.36, the best amongst the Mumbai players in the IPL. His 93 runs off just 40 balls against Kolkata Knight Riders stood out in particular. Delhi had won just one match in their first six games but when Iyer took over they won four of their last eight, providing some consolation to the side that finished last in the league. The 18-year-old youngster repaid his captain’s faith by ending the opening woes for Delhi Daredevils as he seldom failed at the top. In just his second match, Prithvi Shaw became the joint-youngest player to score an IPL fifty when he raced to his half century in 37 balls against KKR. A North Mumbai Panthers’ pick, Prithvi put up a show good enough to have earned him a place alongside Iyer in the recently announced India ‘A’ team that will be touring England. After leading Triumph Knights Mumbai North East to their maiden T20 Mumbai title, Suryakumar Yadav finished as the leading run-scorer for Mumbai Indians in the IPL. Consistently delivering for Mumbai, Yadav scored four 50s in the campaign as he went on to amass 512 runs at an average of 36.57 scoring 30+ scores in nine of his 14 innings. He also became the leading run-scorer for an uncapped Indian player in a single IPL season. Rohit Sharma almost led Mumbai Indians to the playoffs despite the team’s dismal start to the season. The ARCS Andheri Icon Player did not fail to keep the fighting spirits alive in the Mumbai camp until the business end of the league. In what was the highlight of the season for Mumbai Indians, Rohit Sharma scored a whirlwind 94 off 52 balls against Royal Challengers Bangalore. He also led the chase against Chennai Super Kings and was at the receiving end of Man of the Match awards for both those performances. With seven 30+ scores and a half century in 14 innings, Ajinkya Rahane was a consistent performer for the Rajasthan Royals setup this season. He successfully led Rajasthan Royals to the playoffs after winning four of the last five league matches in what was a comeback season for them. Rahane, who played for North Mumbai Panthers in T20 Mumbai, will soon be seen leading India in the one-off Test against Afghanistan.